There is some question about the origin of this quote. It has been attributed to both Joseph Goebbels and Adolf Hitler. What is not in doubt is that the premise is true. Case in point: Japan’s Samurai Blue soccer team. After being thoroughly whipped and outclassed at the 2014 World Cup, the great majority of fans and media in Japan seemed shocked by the outcome. The naivete of both the supporters and “journalists” is almost beyond comprehension and has been for a long time. It is almost farcical how much these guys have been built up over the years. Part of this can be attributed to the homogenous nature of the fan base, which deeply wants to believe, but has a hard time separating fact from fiction. Their support is admirable and deserves respect. The more sinister unit comprises the “fan journalists” who breathlessly churn out glowing copy about how good the players are and how promising the outlook is before every major event. Any sports writer who has bought into that over the years should be writing fiction instead. The lack of sophistication by both the supporters and media combines to fuel unreal expectations that have no chance of being realized. 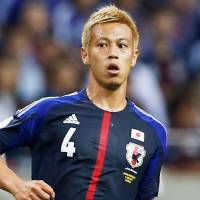 Japan entered the 32-team tournament as the fourth-lowest ranked nation (46th) in the entire field (ahead of only Cameroon, South Korea and Australia), so you would think that what happened in Brazil would come as no surprise. And save the talk about Japan being Asian champions. Take a look at what happened in the first round of the World Cup. The four teams from Asia (Japan, Australia, Iran and South Korea) all finished last in their groups with a combined three points between them. That tells me that the level of the game at this moment is not very good in Asia. A few months before the World Cup, I consulted with a longtime expert on Asian soccer about Japan’s prospects in Brazil. “Not good,” he told me. Fans and the media here seem to have such a short memory. After Japan was routed 3-0 by host Brazil in last year’s Confederations Cup, Inter Milan defender Yuta Nagatomo correctly assessed the situation. Nagatomo also acknowledged that the gulf between Japan and other soccer powers was as wide as the Nile. “If each and every one of us doesn’t try to become the best player he can possibly be, we won’t be able to bridge the gap in the year ahead,” he said. What fans and the media here don’t seem to get is that it is not only Brazil that is better at every position, but the majority of the teams in the World Cup. That is the bottom line. Alberto Zaccheroni did the best he could in his four years at the Japan helm, leading the side to the Asian Cup title in 2011. But what the vast number of people fail to understand is that the coach is not the problem, it’s the players. They just collectively aren’t that good. There is a blip every once in a while — like the 1-0 victory over Argentina in a friendly international in 2010 — but they are few and far between. Narrow wins over sides like Cyprus and Zambia are a lot more common. There is individual talent in the team with several players who suit up for club teams in Europe, but at the end of the day that is not good enough. Japan is decades away from being a factor in the World Cup. O’Toole wrote that it “features set moves from every part of the pitch for every situation — nothing was tried off the cuff . . . There was a distinct lack of decision-making — they were doing everything on autopilot. There was no directness. The inability to improvise in a fluid situation is the byproduct of a culture where athletes are almost always told what to do and don’t know how to think for themselves under pressure. Japan can get around this when playing against other Asian countries, but against the elite it just won’t work. Already talk is turning to who the next Japan coach will be, with attention focused on Mexican coach Javier Aguirre, who has managed several Spanish and Mexican teams. The World Cup isn’t even over yet and already “Groundhog Day” has begun again. It’s ridiculous. If it was a simple as bringing in a new coach, why not hire former Manchester United legend Alex Ferguson? He’s available and has a track record that is unparalleled. The Japan Football Association — one of the richest in the world — certainly has the resources to afford Ferguson. The truth of the matter is that in the end the coach is almost irrelevant. The Japan players are just not good enough to compete against the traditional big guns in the sport. Look at the semifinalists at the World Cup — Argentina, Brazil, Germany and the Netherlands. Teams that have been strong for decades and still had to battle hard just to get into the final four. That says it all and shows you how far away Japan is from even being in the discussion. 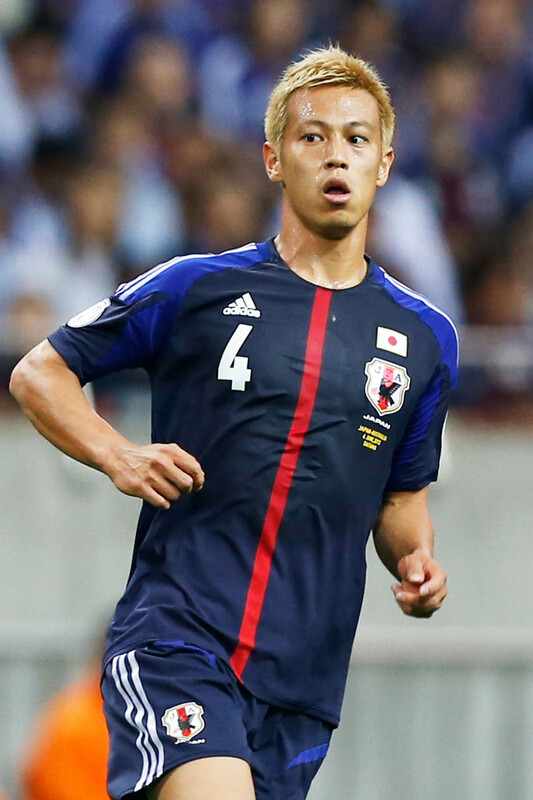 When Honda said he thought Japan could win the World Cup last month, he was either delirious or a very poor student of the game. It was an unwise and unfair assessment. The problem is that fans and most of the media lapped it up, which only deepened the pain when Japan was blown out in Brazil. It is time for Samurai Blue fans and the journalists who cover the team to get a grip and acknowledge that outside of Asia the team is not a factor on the world scene and won’t be for many years. To believe any differently would be buying into and promulgating a lie.